FREDERICTON, N.B. 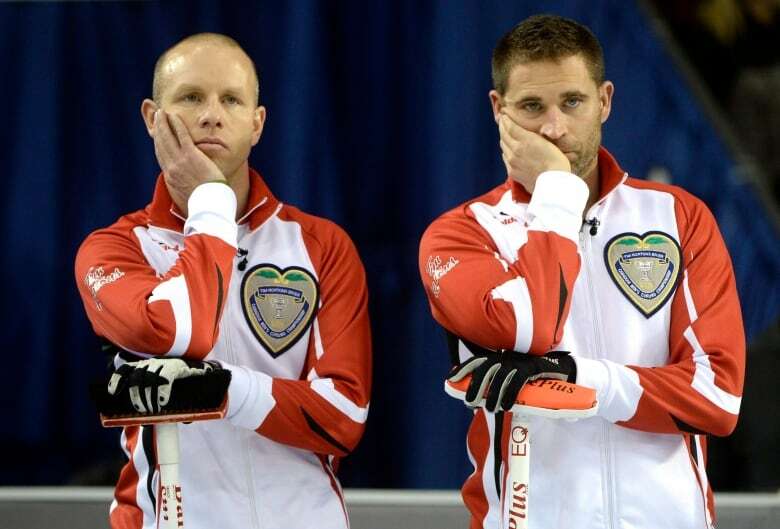 — One of Canada's most decorated curlers was noticeably absent from this year's Brier in Brandon a couple of weeks ago. After being a fixture at the national championship almost every year since his first in 2002, John Morris chose to take a break from the traditional four-person game. The 40-year-old Ottawa native said Thursday he's considering making it permanent. "I won't be back on a foursome team again. Not next year for sure or anytime soon," Morris told CBC Sports. "After being where I was with Kevin Martin, I won't play on another team unless it can be at the same level." Teams have been calling, too. "The phone has been ringing from men's teams wanting me to get back into the game but I haven't been taking the bait," he said. Morris hasn't missed it all that much either. "The first time I missed it was during the Brier this year. The juices were flowing. And I missed it," Morris said. Morris has won everything one could possibly win in the sport — national and world junior titles, three Briers, a world championship, two Olympic gold medals. Morris is one of the fiercest curling competitors ever to play the game. Emotional, focused and driven to succeed. So after a disappointing past couple of seasons alongside Jimmy Cotter and his B.C. foursome, Morris stepped away from traditional curling and jumped into the new, fast-paced discipline of mixed doubles. 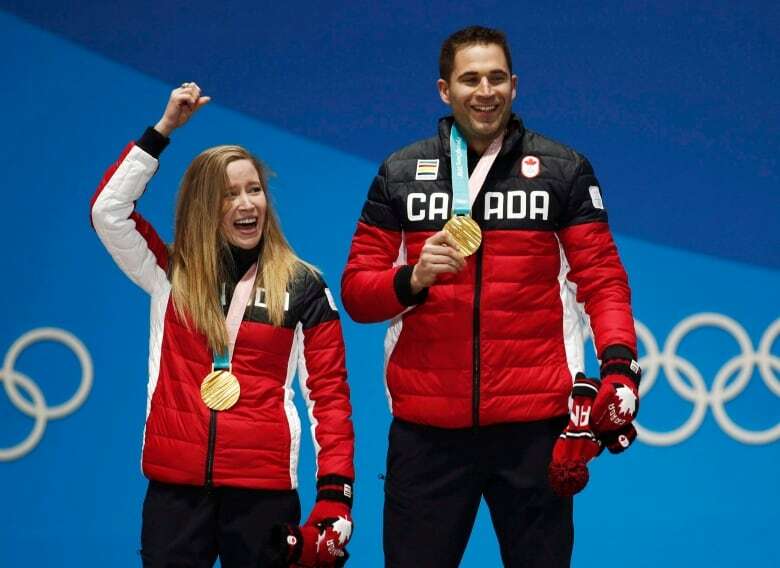 With partner Kaitlyn Lawes, Morris won the first-ever Olympic gold in mixed doubles a little more than a year ago in Pyeongchang. This week he's in Fredericton competing with Saskatchewan curler Jolene Campbell. His 2018 Olympic champion partner was unable to play in this year's championship. "[Lawes] had an injury that flared up at the Scotties," Morris said. "It's tough not to have her here but thank goodness there's another great player available. I've played a few events with Jolene already this year and we have good chemistry on the ice." So far, so good for the new duo. Through four games, the pair is undefeated and looks poised to make the playoffs. Morris said, more than anything, mixed doubles has allowed him to stay connected to curling in a meaningful way without having to be as committed as he's been in the past. He says the wear and tear of competitive curling has worn him down — it's also had him missing parts of life he wants to embrace now — like getting married and having his first child. "By playing on tour and with Kevin Martin so hard all those years, I chose that over getting into a relationship and potentially into a family earlier in my life," he said. That's all changed now. Morris married his longtime girlfriend, Maggie, this past summer and the two now have an infant son, Jack. "It's hard to realize you could love someone so much until you have your own child," Morris said. "He's a magical little fellow. I'm very lucky. I have a great wife who's a wonderful mom and has been a positive support for me." Morris is a firefighter in Canmore, Alta. Prior to the 2018 Olympics, he cut his work in half to take another run at Olympic glory. He continues to work part-time for now, spending as much time as he can with Jack. "I'm loving life. It's been great. I waited a long time to have a family," Morris said. Morris has been one of the biggest advocates of mixed doubles and he and Lawes quickly became the faces of the game after capturing gold in the event's Olympic debut. Now he sees it being the sport he sticks with through this next Olympic cycle. "There are good opportunities in mixed doubles now," he said. "It keeps me in the game. I like mixed doubles. It's shorter events, shorter games and it's more suitable to my attitude." Morris also appreciates the laid-back nature of the game as well. Make no mistake, when Morris is on the ice he always wants to win, but mixed doubles offers a little less pressure from the traditional game. "It's a bit more like old-school curling. The professional style has lost a bit of the fun. It's the one thing I miss. Community and camaraderie."